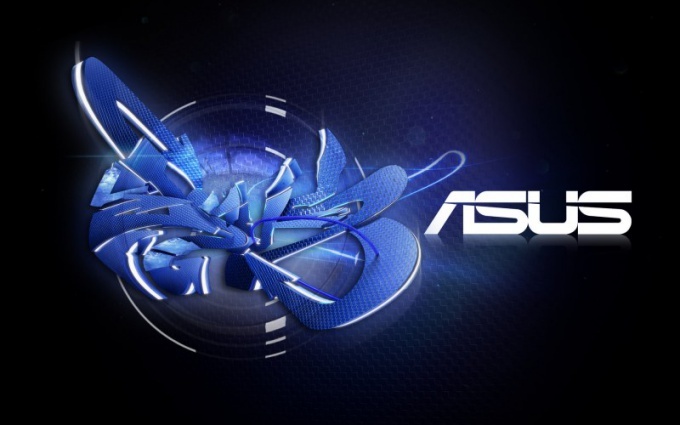 ASUS is a Taiwanese manufacturer of computer hardware, components and laptops. At least a quarter of all computers in the world are based on a motherboard from this company. This manufacturer equips its boards with different BIOS versions. Therefore, there are several ways to enter the BIOS on Asus. The easiest case is when you need to go into the BIOS of a personal computer. Turn on the computer and hit the DEL key several times as soon as you light up the screen. On modern motherboards ASUS the most frequently used key input in system preferences is DEL. If the computer was turned on, restart it. Also hit the reset button, if you already saw the Windows logo. Sometimes the computer is so fast that it becomes difficult to catch the right moment to enter the BIOS. Note that the BIOS is a basic system input and output. That is, when you press the power button immediately starts the survey components and their work on the operating system. Press F10 or F12 when the PC starts, if you have an older PC (motherboard). To get into BIOS on ASUS laptop or netbook, press F2 after power on. In these devices, the BIOS usually complicated and can boot faster than a conventional PC. The firmware portable computer often contains advanced security settings, control the touchpad, that is a substitute for the mouse, as well as an additional operating system with "instant upload". The vast majority of models known today, use F2 to access the system settings of the computer. In very rare cases the key combination. If you press F2 you are unable to go in BIOS, it is likely that this is the case. Then immediately after switch on, press the button Ctrl, hold down, repeatedly tap F2. Remember that the screen you click and log-in BIOS can zip very quickly, so try several times to press when starting the computer or laptop. If you have a new laptop or computer, and you have not yet installed the operating system, but unable to enter the BIOS by pressing Del, F2 or Ctrl+F2, it can help replacing the keyboard. Connect the external keyboard and try again the above options.